Remember, we have our own classifieds system for selling IHC parts, trucks, etc. 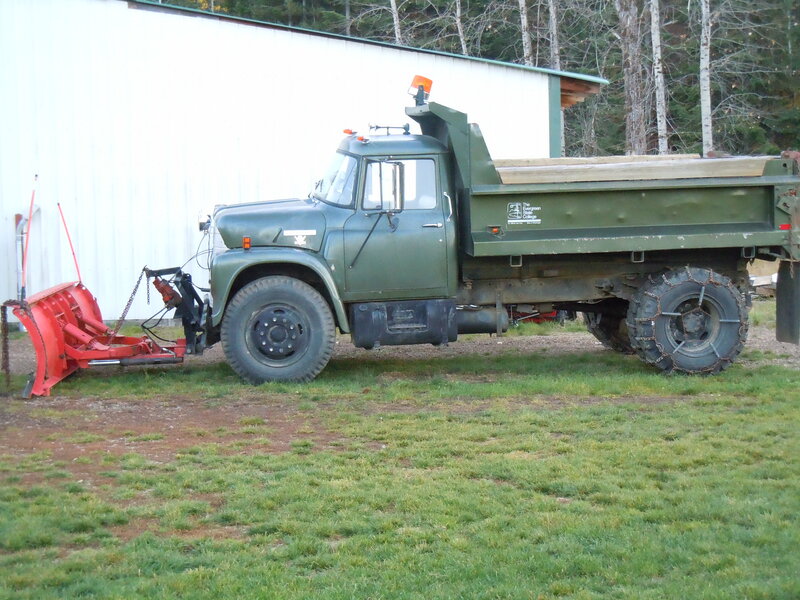 I originally purchased my 1976 International 1700 loadstar in 2005 off of EBay via a Washington State auction. It was owned and operated by Evergreen College, which is located up near the Canadian border. I talked to the mechanics up there prior to purchase and they told me it operated fine but the No. 1 cylinder was low in compression and it smoked. 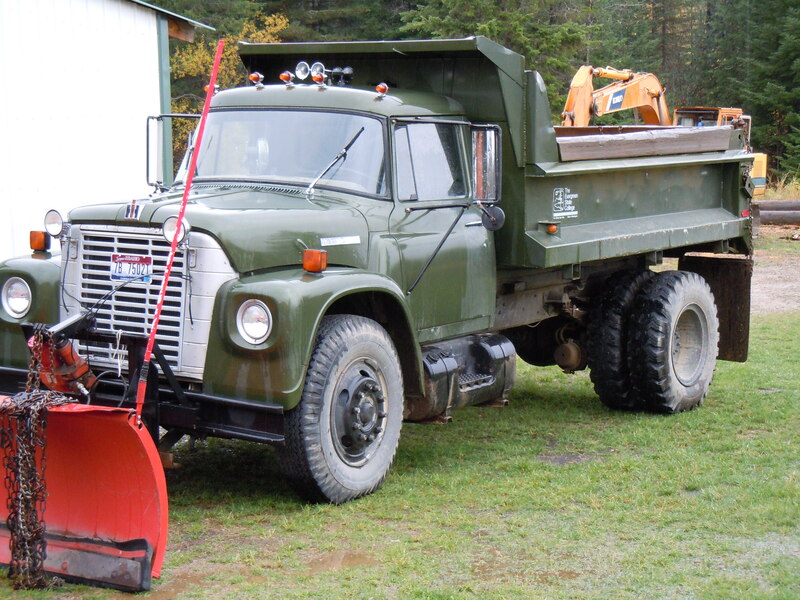 I purchased it for $3,500.00 and it included an installed 7 foot snow plow. Did I mention it only had 29,000.0 original miles with a 340 V8 and 10 speed transmission. I drove it home from the auction lot to my home and everything worked fine and true to the earlier comments it smoked.. It sat in my back yard for about a year and when I went to finally move it to another location I attempted to started it up and found that water had leaked through the hood and air filter down into the carburetor and filled the engine with water. This was confirmed when I drained the oil and pulled the spark plugs. I searched on Craigslist and found an working 345 V8 and actually tore it down and went through it replacing the oil pump, cleaning it up and putting it back together with new gaskets. I installed an 800 cfm Edlebrock carburetor on it. 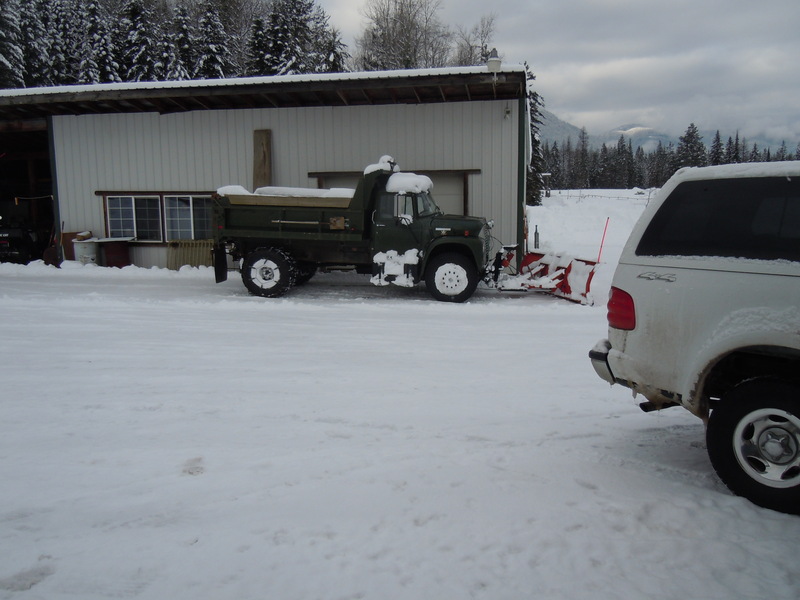 It has run great for the last several years and I used it this morning to plow snow around my home. My only complaint is that is goes through the gas and when I take it to the gravel pits to get gravel for the driveway it gets about 8 MPG empty or loaded. This entry was posted in Newsletter and tagged BD-220, BD-240. Bookmark the permalink. Typically, this tag is on the frame, under the drivers seat.